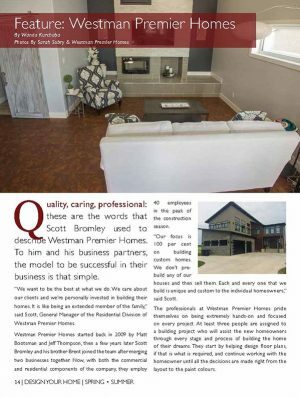 Quality, caring, professional: these are the words that Scott Bromley used to describe Westman Premier Homes. To him and his business partners, the model to be successful in their business is that simple. “We want to be the best at what we do. We care about our clients and we’re personally invested in building their homes. It is like being an extended member of the family,” said Scott, General Manager of the Residential Division of Westman Premier Homes. Westman Premier Homes started back in 2009 by Matt Bootsman and Jeff Thompson, then a few years later Scott Bromley and his brother Brent joined the team after merging two businesses together. Now, with both the commercial and residential components of the company, they employ 40 employees in the peak of the construction season. “Our focus is 100 per cent on building custom homes. We don’t prebuild any of our houses and then sell them. 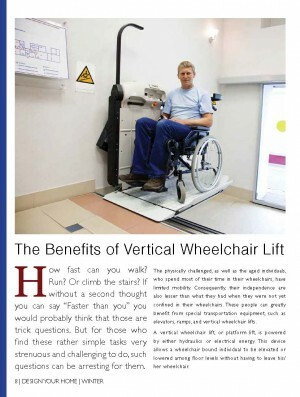 Each and every one that we build is unique and custom to the individual homeowners,” said Scott. The professionals at Westman Premier Homes pride themselves on being extremely hands-on and focused on every project. At least three people are assigned to a building project who will assist the new homeowners through every stage and process of building the home of their dreams. 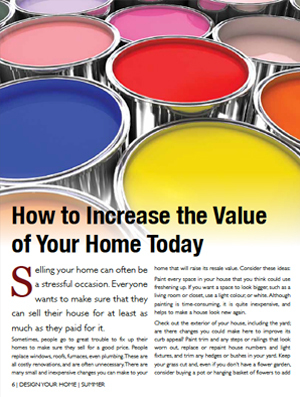 They start by helping design floor plans, if that is what is required, and continue working with the homeowner until all the decisions are made right from the layout to the paint colours. Last year Westman Premier Homes built a 2700 square foot home (on the main level) for a couple that retired from the hustle and bustle of city life to the Riverdale Municipality. The homeowners were thrilled with the quality of workmanship and how positive the experience was in building the home of their dreams that they’ve since coined their oasis. 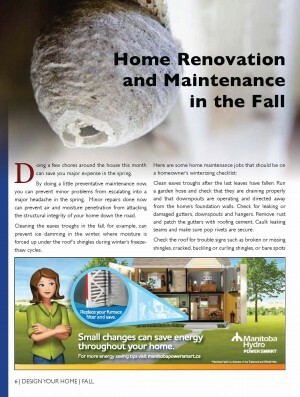 The relationship that they built with the team from Westman Premier Homes wasn’t what they had expected. “It sounds funny, but I feel like I’ve inherited a new family,” said Heather. “We try very hard to make sure that our clients know exactly what’s going on at all times, it creates a better relationship and there are no surprises in the end. You hear horror stories about all the extras billed at the end of some projects, we try to make sure that doesn’t happen through good communication,” said Scott. 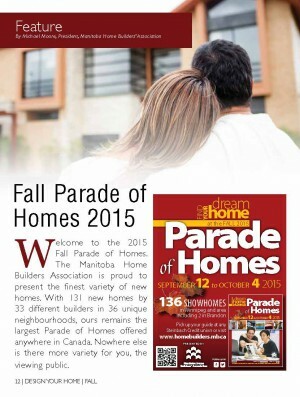 Westman Premier Homes has been proud to showcase the quality of their construction by featuring some of their homes, in partnership with the homeowners, in the Parade of Homes brought to you by the Manitoba Home Builders’ Association. Many of their projects come to them through client referrals, which speaks to their strong reputation for being quality home builders that are reliable and professional.